Walking enhances the cardiovascular system by coaxing the heart to pump more efficiently, as well as improving the heart's strength by the way blood vessels react to the demands of exercise. Walking is a terrific support for losing weight. The tried and true "eat less - move more" theme proves itself by something as simple as half hour walks everyday preferably after a meal. Regular brisk walking has been shown through numerous large studies that weight loss is a beneficial side effect of regular exercise when paired with a healthy, eat-in-moderation diet. In other words, watch your portion sizes. Walking has been shown to help with mobility and flexibility. 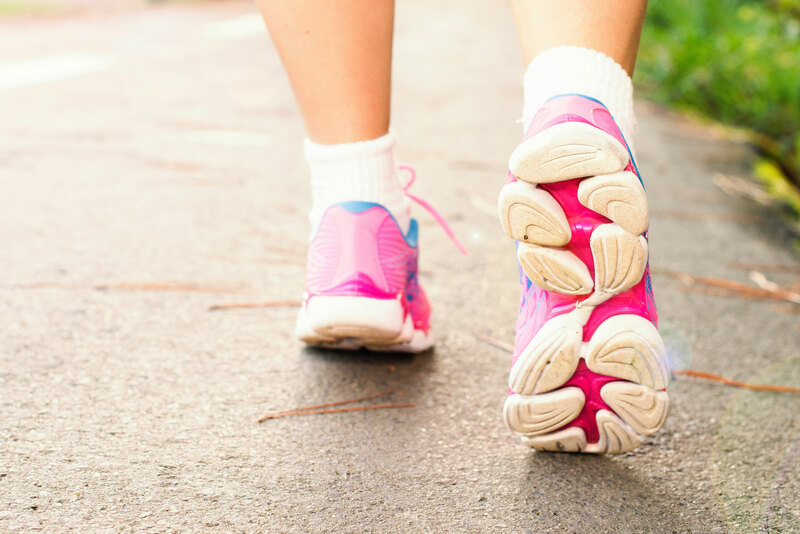 The combination of walking and weight loss can decrease pain and inflammation in knees and feet and increase mobility even when performing simple movements such as getting in or out of a car or standing up from a chair. Walking helps lower blood glucose levels. Simply put a walk after a meal will balance out the carbs and help bring bg’s into target range. This is a good habit to fit into everyday life. Two important things to keep in mind: check your bg before getting on the road and ALWAYS carry a quick carb snack when going for a walk. A juice box or a couple Tbs. of dried cranberries are easy to carry and good and tasty 15-gram fixes. Taking a nice long brisk walk can do wonders for the psyche. It is the non-drug mood elevator. Feeling a little down in the dumps or stressed? Take a walk. Fresh air combined with the stretching movements of walking can wipe the blues away. It can also spark creative thought and get your MoTo Move moving. Walking benefits top to bottom. That is to say besides exercising the feet and legs through aerobic movement, walking stimulates brain cells. Research has shown that memory, attention span and decision-making skills are strengthened by walking at a moderate speed of three miles an hour three to five times per week. So why not lace up, go out and take a walk! And so, the message here is to keep the machine – your body – well oiled with good food and plenty of good walking. A good pair of comfortable walking shoes, loose clothing, sunscreen and a positive attitude are all you will need to reap the benefits of stepping up to the new year.